I picked up this book and I finished it in a day. I could not put it down. I found this book eye opening. I know kids are bullied every day but to read some recount what has happened to them over years of abuse by fellow students and teachers makes it even more real. I was horrified by the abuse that Jodee suffered from grade 5 to highschool. She was tormented, bullied, abused physically and emotionally for years. What surprised me more was the response by the teachers, administration and health professionals. The majority of the book describes in detail the accounts of the abuse she suffered which makes it difficult to read at times as she holds back no detail. The book continues as she narrates her accounts on trying to fit in. How to be friends with the ones that taunt her daily. 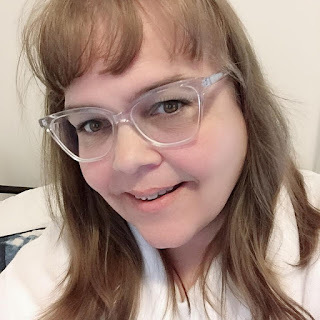 Every child has experienced wanting to fit in on some level but just not to the extremes that Jodee did as a child and teenager. There are some positive events in this book as well. After a year of enduring much abuse, Blanco take a trip with her family to Greece and she makes friends with the teens in the village despite a language barrier. Later, she attends a two week conference for writing at a local college. It is there she meets other kids who are outcasts at school. Both of these events show Jodee that there is a much bigger world out there then just her high school and give her motivation to go on. Everyone should read this book... parents, teachers and health care providers. It is a story of strength and hope... Jodee Blanco survived bullying and she is speaking out to educate everyone on bullying. 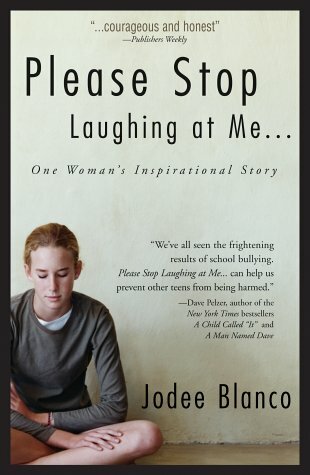 Jodee has written a follow up book Please Stop Laughing at Us that documents her quest to prevent school bullying. I can't recommend this book enough. I couldn't put it down after I started it.